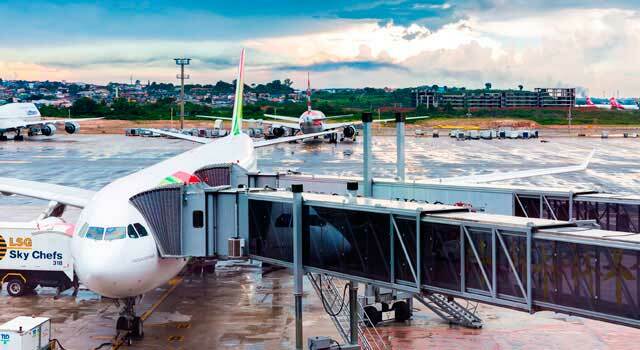 Use this website to quickly find the most important information about São Paulo - Guarulhos Airport: Flights (Departures, Arrivals), Parking, Car Rentals, Hotels near the airport and other information about Sao Paulo airport. 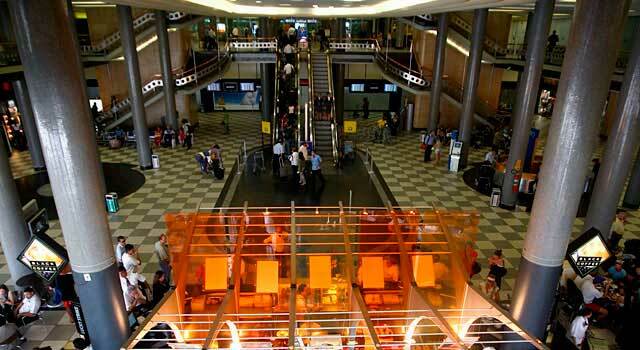 Plan your travel to Guarulhos Airport with the information provided in this site. São Paulo Airport (IATA: GRU, ICAO: SBGR), also known as São Paulo - Guarulhos Airport, São Paulo / Guarulhos - Governador André Franco Montoro International Airport, Cumbica Airport or simply Guarulhos Airport, is the main international airport serving the city of São Paulo, Brazil. Sao Paulo Airport (IATA: GRU) is the busiest airport in Brazil. 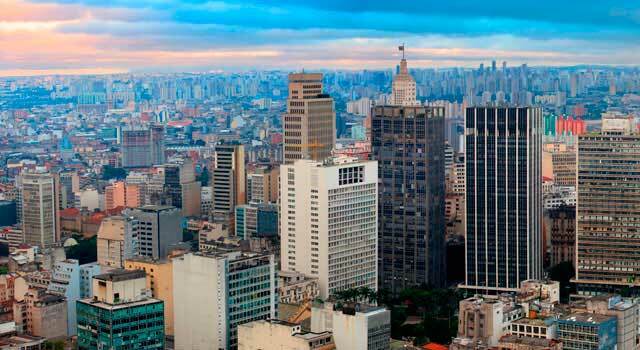 The airport is located 25 kilometres north east of Sao Paulo downtown. Sao Paulo Airport served 37,8 Million passengers in 2017. There are three terminals in Sao Paulo Airport. The new terminal 3 hosts all international flights to Europe and North America. The airport is located 25 km north east from downtown Sao Paulo, in the municipality of Guarulhos. Guarulhos Airport is the main airport in Sao Paulo, but not the unique, there are two other airports serving the city, Conhonhas Airport and Campo de Marte Airport. 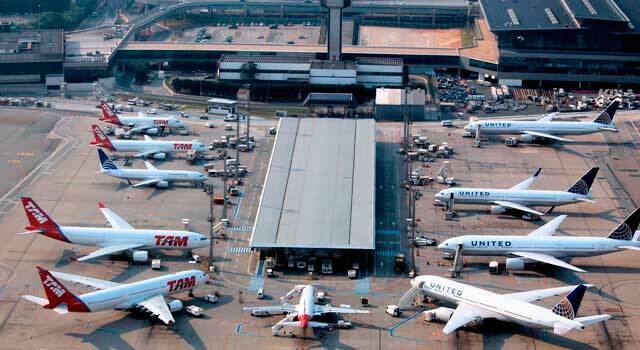 GRU Sao Paulo Airport is the 1st airport in terms of passenger traffic in Brazil and the 2nd in South America. In 2017, 37.8 million passengers travelled to and from the airport and although it is not the top ranked number in terms of passenger traffic, the number of travelers have been doubled during the last 8 years. Sao Paulo Airport consists of three terminals: Terminal 1, Terminal 2 and Terminal 3. Only magafes domestic flights. It is home of boarding gates 101-109. Is only used by Passaredo Airlines. It has two wings in the same building (East and West sides) and currently both parts conform the Terminal 2. Domestic flights and also services to Latin America are served. Sao Paulo Terminal 3 is the international terminal, operating flights to several international destinations and also long-haul intercontinental services, mostly by LATAM, and also to Latin America. Subway: There isn't a subway station at Sao Paulo Airport, the closest metro station is Tietê (line 1 - blue), passengers have to take a bus to arrive to the airport. The following stations of line 3 - red also have connections with bus to the airport: Barra Funda, República, Tatuapé. Bus: The public company EMTU/SP offers regular and executive bus lines to several places in São Paulo. Shuttle: There are several companies operating at the airport that offers private shuttle services to your destination. Air Taxi: Two companies offer Air Taxi service in the airport: Líder Táxi-Aéreo and Riana Táxi-Aéreo. 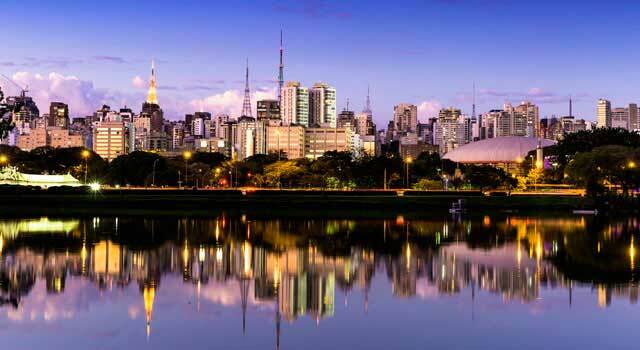 Car Rental: Passengers can also book a vehicle to freely explore Sao Paulo region. You can also book your car though our search engine. For further information about transportation options please see Transportation page. - 370 companies generating about 50,000 jobs.